Optional: if Java is not updated, download the up to date JDK, note not jre. 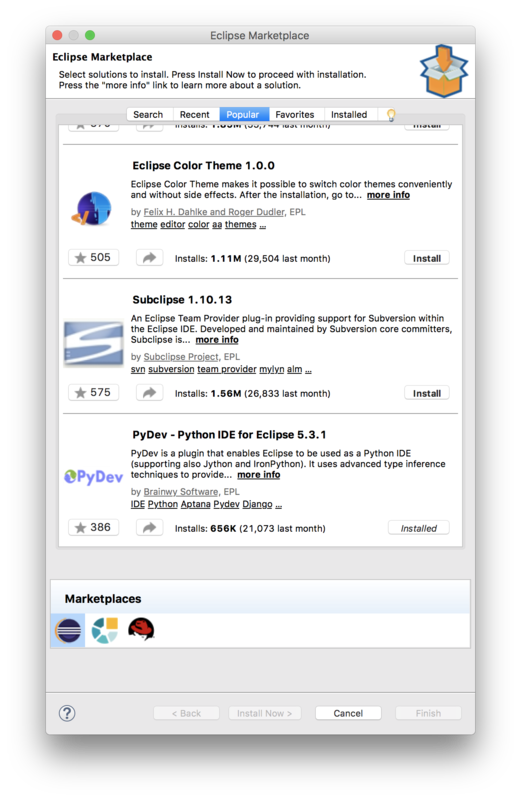 Install the Eclipse: choose “for java developer”or “for php” or something similar, this option does not really matter. we will install the Pydev later. 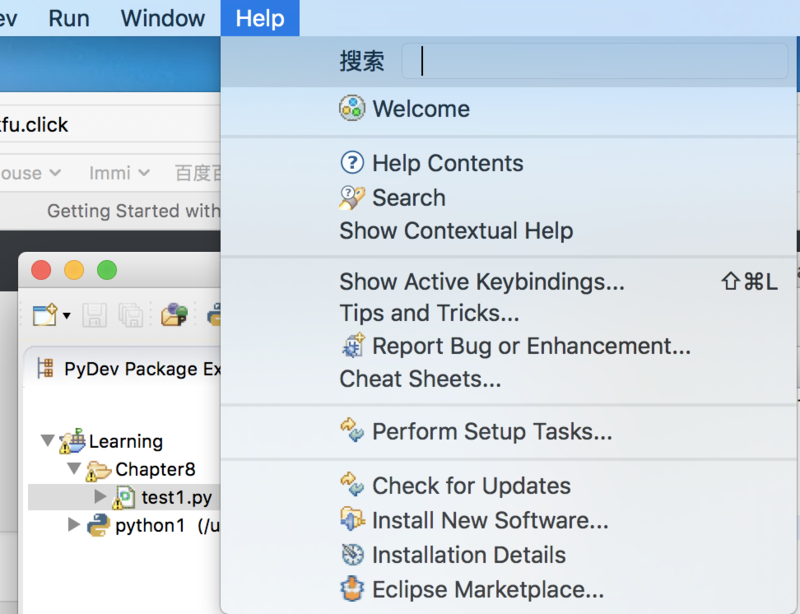 After installation, we need to configure the interpreters: click Eclipse > preference , then click Pydev>interpreters> python interpreter. in right panel, click advanced Auto-config. Choose the python version if you have multiple version. Then click OK.
Then in Eclipse, click file > new – project > PyDev > PyDev Project , click next > Then give a name, Select the Grammar Version, Interpreter, click finish. Now its ready for the programming! Pip is a convenient tool to download and install the third party python packages. This installs pip-3.3 in the bin directory of your Python 3 installation. Then, use pip-3.3 to install third-party Python packages rather than Python 2’s pip. Then select the number under “Selection” as the default version. Went to [Active State] and downloaded the suggested, “Download ActiveTcl 8.6.4 for Mac OS X (10.5+, x86_64/x86)”. WARNING: The version of Tcl/Tk (8.5.9) in use may be unstable. The IDLE will crush when I type ” or ‘ . So It need a fix. Ran IDLE – still same message, “The version of Tcl/Tk (8.5.9) in use may be unstable.”. Checked – Yes, 8.6.4 is there. Try downloading the version that Python is looking for: 8.5.X. Version 8.6.X is not recognized. Ran IDLE – No warning.